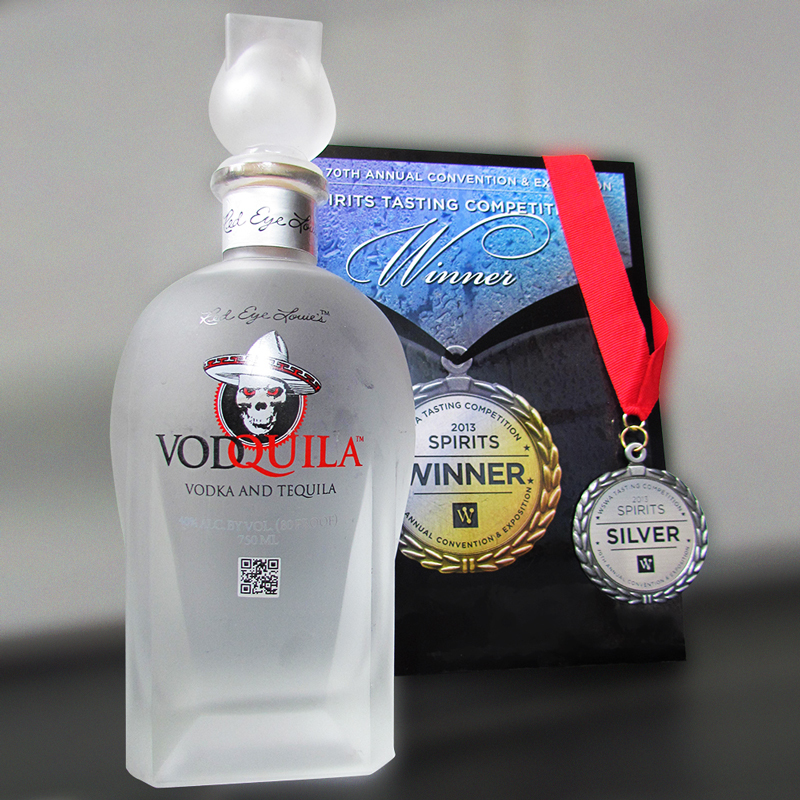 It’s another spirit mashup that I’m unclear who’s been clamoring for: Vodquila is… wait for it… vodka and tequila. That’s it. There’s nothing surprising in the construction here: The bright idea was to mix 100% agave Highlands tequila with premium, imported, grain-distilled vodka. And to be honest, the whole idea baffles me. If you like premium tequila, you’ll dislike the idea of watering it down with vodka — essentially turning it into a mixto. On the other hand, if you’re a vodka kinda guy, well, you’re just going to hate having tequila in it. The overall impact is about what you think it will be. The nose is heavy on the agave, lemony, with an undercurrent of sugar. On the palate, it’s that vodka-fueled sugar that hits you first. Your brain doesn’t know whether to prepare for a sweet, modern-style vodka experience or something else, but before you get the chance to make up your mind, the tequila hits. At first, it offers a strong herbal agave character, with more of that lemon, but then along comes a lightly spiced finish that’s absolutely loaded with sweetness — almost like a slice of cinnamon toast. Vodquila grows on you over time. Or rather, it becomes more harmless and innocuous, much like any well-sweetened mixto tequila does, simple enough but probably regrettable later. Of course, Vodquila does have one trick up its Frankenbooze sleeve: At a price that undercuts every 100% agave tequila I’m aware of, it seems to be destined to find a home in novelty shots over sipping straight, which sounds about right to me. So wait: This is essentially a marketing gimmick to turn the awfulness of mixto into a selling point? It’s grain alcohol distilled to 99%, then diluted with the local water. 80 proof vodka = 60% water. So, Tequila is around 80 proof already (but stronger varieties exist). Adding Vodka does nothing but dilute the flavor of the tequila. You’re “watering down” the tequila. Given the plEHthora of flavored vodkas, how soon before we see a tequila version from Absolut? Or “pilsner”? It’s usually distilled to 95%, or close to it. It takes some pretty expensive chemistry to get it to 99%. the vodquila its from mexico or what??? It’s a blend of vodka and tequila. The tequila is from Mexico, yes.